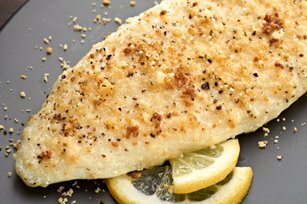 If you are looking for a tasty healthy fish dinner, then try this parmesan tilapia recipe. This filet is broiled, not fried, and is such a light yet flavorful entree. Serve it with some healthy vegetables and other side dishes to make a great meal everyone in the family will love. The flavors are light and delightful in this healthy entree recipe. With the tender tilapia filets, the seasonings and the fresh lemon flavor, this is sure to be a hit for dinner. Spray broiler pan or line with aluminum foil. Mix together the parmesan cheese, butter, mayo, lemon juice and seasonings. 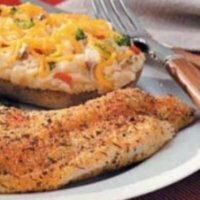 Place tilapia fillets on broiler pan. Place in broiler (a few inches from the heat if pan can be adjusted). Broil for approximately 2 to 3 minutes. Flip the fillets and broil another 2 minutes. Remove and cover tilapia with parmesan cheese mixture. Place back under broiler for approximately 2 minutes or until topping is browned. 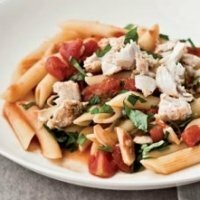 In addition to this parmesan tilapia recipe, try these healthy tuna recipes. These fish fillets are breaded and boiled, not fried, so it's a healthier meal. Use it for lunch or dinner. 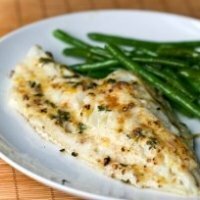 The swordfish in this recipe makes this meal unique...plus the fish is zero SmartPoints on the Freestyle plan. With the zesty taste of lemon and the distinct flavor of garlic, your taste buds will be awakened with this delicious entree. 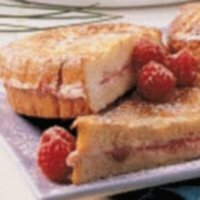 Stuff yourself this morning with this sweet and tasty breakfast idea. Use your favorite sugar free preserves to change it up. 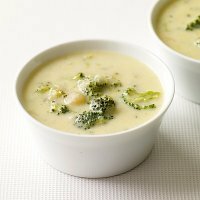 This creamy delicious soup makes for a great starter to your meal. Add a tossed salad and make it a duo for a light lunch. 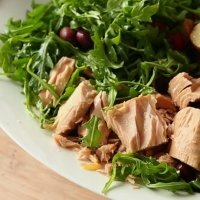 This tossed salad adds tuna to it's taste. With the lemon French dressing, the flavors compliment each other. Fish not only tastes great for dinner, but has many health benefits. Read this article to learn about how fish can keep you healthy in so many ways. Add a tasty appetizer to your Tilapia dinner with these recipes. You can use them as snacks or party foods as well. If you are a diabetic then eating the right foods is important. Find out what foods you need with this pyramid.